Graduation! Wow, those erythrocytes are cute as heck. I'm really impressed by how creative they made the episode with the process of their lifestyle. Macrophage makes a great instructor. 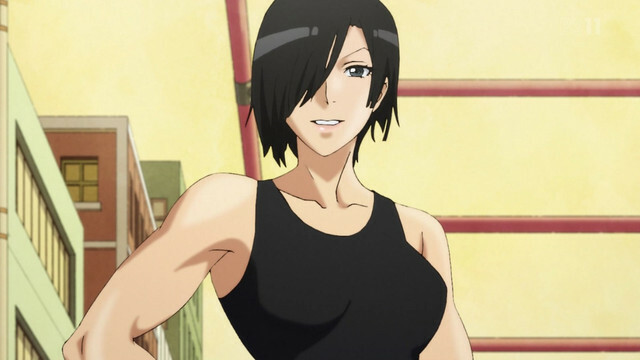 NK Cell is also such a badass. The big "C" of course evokes fear in just about everyone but our bodies are constantly dealing with cancerous cells. It's only when they slip past the immune system real problems can arise. And even then there are cancers that grow so slowly you'll die of old age long before the cancer could do you any harm. I could watch a whole damn 24 ep series on them as kids, BYE BYE.....thats how u start a childhood friend story. Bruh D: this show warms me up too good. Is the attacking cell a cancer or just another virus? I assume its a budding cancer, trying to get to a critical point. 29 / F / End of the line. Was that Akira Ishida as the cancer cell? I've been waiting for some sort of multi-episode arc. I think it's really what this show needed to find its footing and rid itself of the repetitive formula that was developing. Ooh great episode, platlets get a rival for cuteness with the immature red blood cells. I wondered why Macrophages were designed to be so motherly, forgot about their role raising the erythroblasts. Liked the flashback to our wayward RBC, I guess nothing has changed for her and WBC. Ooh and now we get serious as the big "C" shows up, this show needed a multi episode plot. So cancer cells, unsure how they are made but guessing it’s when a cell goes bad or something and seems he infects other cells turning them into monsters. Bit like zombies but not like the one from few episodes ago. Basically, cancer cells are abnormal and won't stop dividing. Cell division is a normal process, but in cancer cells it's not controlled. I thought cancer was uncontrolled growth and replication of previously normal cells. There may be different types though. 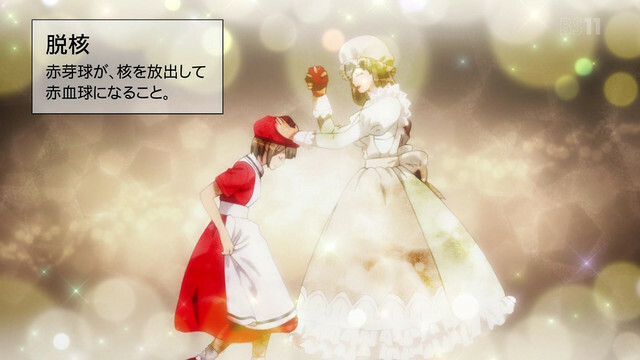 The first half with little red and little white was so cute. This show is such a love story. I thought cancer was uncontrolled growth and replication of previously normal cells. It is. When I said they're abnormal I meant to imply that they don't start out that way, although the cancer cell produces abnormal copies (forming tumors). Some tumors are benign, though. Sorry for the confusion. I don't have a medical background so I'm not as eloquent as an oncologist would be when discussing this topic. No one is sure exactly how cells become cancerous, the reason it's so difficult to treat is because they are almost all unique to the individual, however a cancerous cell does not "infect" other cells. Sometimes a cell infected with a virus can become cancerous. Cells become cancerous when the genes which control cell division are damaged. Hmm now I’m guessing the cancer cell might be a recurring villain in the series.